Davenport, IA. 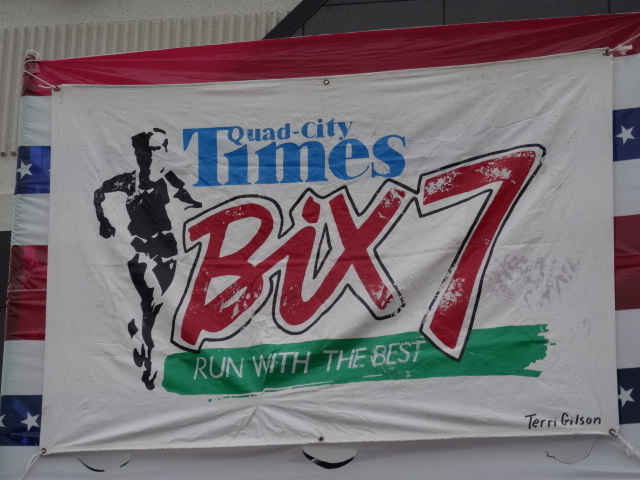 — The 40th Quad City Times Bix 7 Road Race crowned USA 7 Mile Road Champions today as it doubled as the national 7 Mile championship for the fourth time. Under overcast skies but high humidity Boulder, Colorado’s Sean Quigley and Providence, Rhode Island’s Molly Huddle emerged as champions, taking home $12,500 first place checks. Quigley’s winning time of 33:28 was the slowest since Bill Rodgers first visit to the Quad Cities in 1980 (33:58), while Molly Huddle’s 36:14 represented the fastest American time ever run on the undulating, out-and-back Bix course, and fourth fastest in event history. 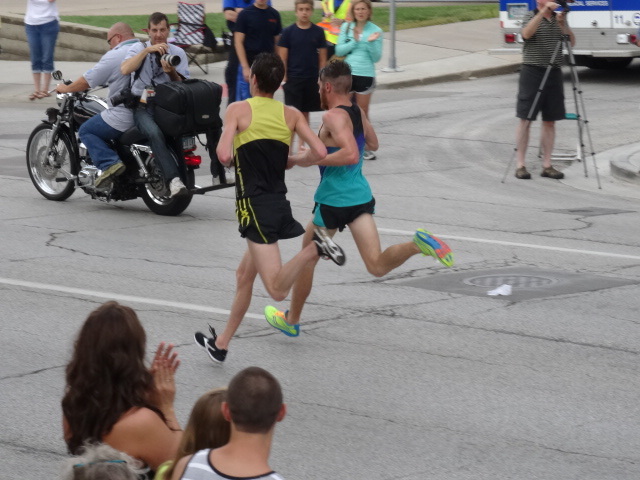 Sean Quigley’s margin over runner up Christo Landry of Ann Arbor, Michigan was just four seconds as the two battled down Brady Street onto Third Street for the final three block sprint to the tape. Former University of Wisconsin Badger Maverick Darling finished a surprising third in his first major road race (33:43). Molly Huddle’s margin over California’s Sara Hall was 1:07, as the race was for second place, not first. For Molly it was a second Bix title to go along with her 2009 win. She had a ten second lead after the first mile, and never was challenged. 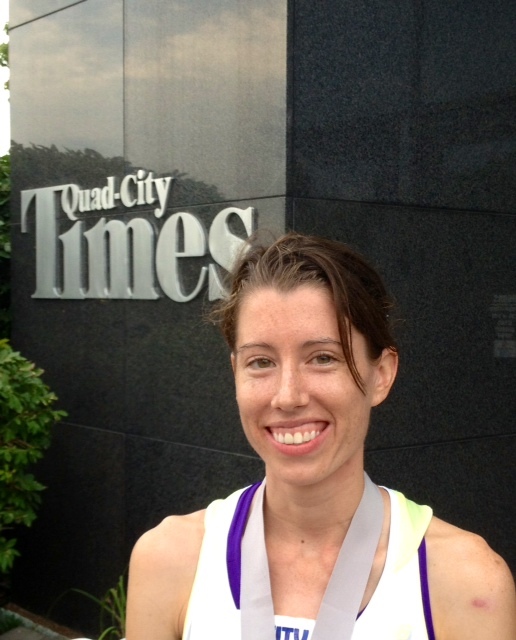 Of course, Molly arrived in the Quad Cities after breaking her own American record for 5000 meters Friday before last in Monaco (14:42.64), so the odds were long that anyone could match her, especially on a course where she had already had success. Two-time Bix champion Meb Keflezighi made his first return to serious racing since his memorable win at the Boston Marathon this spring. Meb, understandably, has been on an extended victory tour since his historic Patriots’ Day race, and hasn’t been able to hunker down and do the training he normally would for an event like the Bix 7. Notwithstanding, Meb led the men’s pack through five miles until a balky hamstring began to tighten up on one of Kirkwood Boulevard’s stiff hills. Meb soon got dropped as Quigley, Landry, Stephen Pifer and Maverick Darling began to pull away. By six miles Meb was by the side of the road retching. So much for what have you done for me lately, huh. None of that seemed to bother any of the hordes of runners coming to ask for his autograph at the finish line party, though, as Meb has inherited the mantle of America’s favorite runner from Boston and Bix Billy Rodgers who has been coming to Davenport every year since 1980, and helped put the race on the map. Joan Benoit Samuelson ran one minute faster this year than last to win her 13th master’s title at the Bix to go along with her four open titles. At age 57 Joan ran 43:38, 6:13 pace for the seven hilly miles! Meb will be heading east to Joanie’s popular Beach to Beacon 10K next weekend in Cape Elizabeth, Maine, and then down to Cape Cod for the Falmouth Road Race two weeks later. But there is another accolade heading his way on August 5th when he and wife Yordanos will fly down to Washington D.C. to be guests of President Obama at a White House dinner for the U.S. – Africa Leaders Summit. It will be an historic gathering representing the first time a sitting U.S. president will host all the leaders of Africa to a single event to discuss issues of interest to the continent and the U.S.
As I prepared to host the award’s ceremony with Thom Cornelis after our KWQC-TV6 live broadcast, I checked through the top ten finishers to make a note beside each name to announce to the crowd gathered outside the Quad City Times building. All the names, save one, were familiar. In 10th place in the women’s category was a 29 year-old runner from Evanston, Illinois wearing bib #423 named Laura Batterink. #423 finishes top ten in a national championship? Though she was rail thin, and elite looking, I had never seen this woman before, nor did I recognize her name. So I had to go find out who she was. No wonder I didn’t know her. You think? Laura is a post-doctoral student in cognitive neuroscience at Northwestern. Originally from outside Toronto she took her undergrad degree from Middlebury College in Vermont, then did her graduate work at the University of Oregon. So with a brain like that, and background at a place like Eugene, Oregon, otherwise known as Track Town USA, you never considered you might be good at a sport that has you finishing top ten in a national championship? Laura finished 12-seconds behind Clara Santucci, the 2014 Pittsburgh Marathon champion. She will take on the Big Sur Half Marathon in November after running the Canadian 10K Championship in October. Laura did compete in the Canadian Half Marathon Championship in April in Montreal. She finished fourth in 1:16. She has two more years of study at Northwestern before looking for a faculty job. Who knows what kind of running career she will have assembled by then? 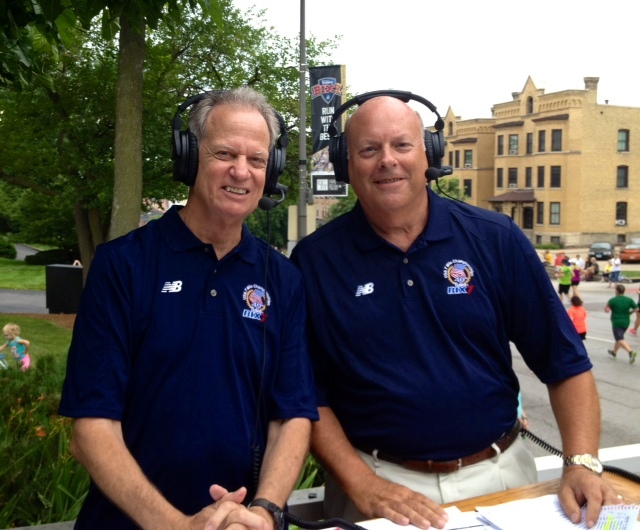 The Bix 7 began with just 84 runners in 1975. 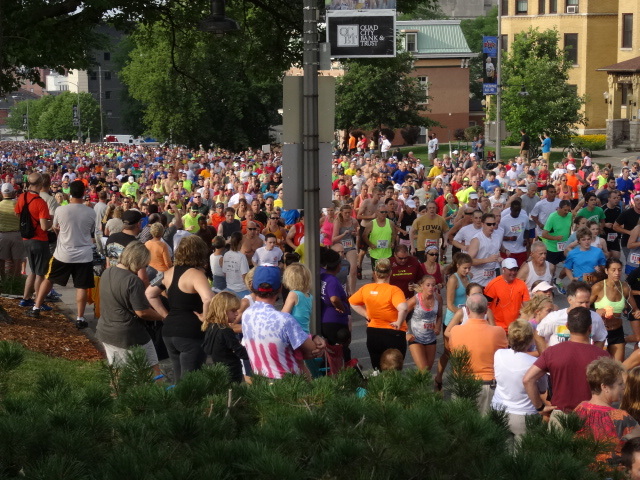 Since then more than half-million participants have beat their feet along the seven miles climbing off the banks of the Mississippi River in Davenport, Iowa. Truly, it is one of the classics of the American road revolution. Toni-Enjoyed your article about Laura Batterink. We in the Evanston Running Club are delighted to have her in our group. I still remember last summer seeing her for the first time at our weekly Wednesday track workouts running with our fastest male runners. She wore a shirt from the Eugene Half, so after the workout I stated a talking to her and it was then she told me she had finished 2nd in 1:21! I knew then she was something special and have since been mentoring her and helping in whatever way I can. She is now coached by John Lofronco of Canada who has upped her training and we are looking forward to watching her continued improvement.